Your presence could mean the world to a Springfield kid! Have you ever thought about getting involved to help a Springfield kid? Or maybe you know someone who’s got a heart for kids? If so, there’s no better time than the fall to get started! STARS kicks off for the kids on Monday, September 16 for High Street and Tuesday, September 17 for Westside. Here are a few “FAQ’s” you might have about helping with STARS. What happens during a day of STARS? The kids are transported over to STARS and arrive around 3:15. When they arrive, they have either an upbeat chapel/Bible teaching time, or craft and activity time. Next is a 45-minute reading club where students are divided into groups of 4-5 based on grade level for a simple, structured reading activity and board games. Students with homework are encouraged to complete it during this time frame. Finally everyone breaks for meal time and wrap-up. Children are picked up at 5:30. What does a volunteer do at STARS? There is a wide range of places to help like meal time or leading worship, but the biggest need is for people who love kids to participate with them in activity times. We try to place 2 leaders in each reading club of 4-5 children. What if I can’t come the entire time? You are welcome to come for whatever time you can. We only ask that volunteers stay committed to a regular schedule in order to keep things consistent for the kids. They will ask for you when you’re not there! At the STARS Ramp-Up Day training next week, Tyler will go over a lot of basic information about what to expect. He also keeps ongoing contact with all of the volunteers to answer questions or “trouble-shoot.” We want to make sure STARS is a great experience for the volunteers as well as for the kids! The lower age limit is middle school age, and there is no upper age limit! 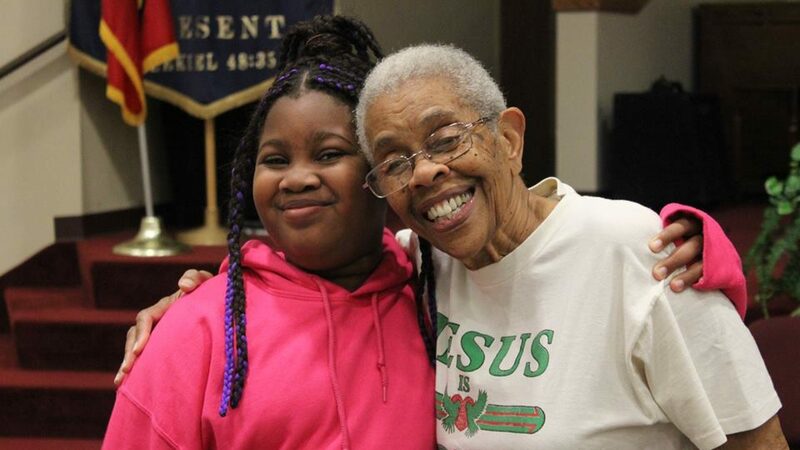 In fact, we love having people of all ages volunteer at STARS because it feels like a family. Give Tyler Worley a call at (937)631-8719, or email him at tylerworley33@gmail.com. He’d be glad to talk with you. What if I’m interested in volunteering with older kids? SCYM also has programs for middle school students starting soon. Jessica Konczak directs the GirlPower program 3 days a week for middle school girls, and her contact info is jkakonczak@gmail.com or (419)564-8564. There are also two programs for Hayward Middle School students (girls and boys) beginning late September. We’d be glad to get you more info at SCYMinistries@gmail.com or at our office, (937) 325-6183.